A million stars and a box of Kleenex. That’s the whole review. Fans of Eloisa James’s Desperate Duchesses were introduced to Vander in Three Weeks with Lady X (review)…where he was attempting to affiance himself to heroine India while hero Thorn was having a temporary attack of love-induced idiocy. Which doesn’t exactly make Vander an s*-ferret, but that does put him on the back foot since attempting to scoop one’s best friend’s lady (even if everyone thinks the best friend and lady are broken up and you are doing it to save her reputation) isn’t exactly cool. Vander has his reasons for acting as he does but, mental arms folded, I was quite prepared to dislike Vander at the start of his own book. Dislike might be too strong…perhaps expect him to dig himself out of a trench is better? The prologue to Four Nights with the Duke also doesn’t show Vander in a particularly good light when he doesn’t defend teenage Mia during an excruciating scene at in the Villiers’ library involving a love poem, moonbeams, and a skeevebag male friend. Teenage males are the worst at empathy, so I gave him a pass even as I wanted Mia to cut him dead (which she did). Then, in the first chapters of Four Nights with the Duke Vander dug his trench even deeper, which really surprised me. Eloisa James’s heroes are not, to my recollection, mean. They might make stupid decisions (Thorn and his father the Duke of Villiers (my favorite), Gabriel, Piers, James) or enjoy some pointed verbal sparring with a partner of equal ability (what is it about those Daughtrys and their wives?) but they don’t actively work to to come across as nasty (even Piers, really, despite his being patterned on House). Even before Mia made her proposal and backed it up with sufficient inducement, Vander was downright mean. He punished her for the sins of her father, just as he is punished for the sins of his mother…which is also the fault of Mia’s father. And just to top it all off, he tries to shock her sexually. He does his best to dig that trench to infinite depths. This is the first time I’ve ever actually disliked an Eloisa James hero (he isn’t even funny like Loretta Chase’s Dain). S*-ferret. Mia, however, stands her ground. She requires this marriage to save her little brother and his future from their sinister uncle. She fully intends her marriage to Vander to only last long enough to circumvent her elder brother’s will. The only mistake she makes is that she blackmails first, rather than explain exactly what is going on, and Vander doesn’t bother to read the document setting out her plan. He makes his own demand for the marriage: that he will only bed her four nights out of the year and only if she begs him for those four days. Well, it fits easily in with Mia’s plans. She will never beg him for those four days. I was in Mia’s corner from the beginning. You give me a short, curvy, smart heroine who doesn’t fit into the given Society expectations for women and I will root for her at the top of my lungs (cf. Sarah Maclean’s Pippa). Mia is a novelist. Specifically, the bestselling Lucibella Delicosa. She has her own income because her father dismissed her abilities – she could “keep her pennies” (bestselling novels bring in a lot of pennies). She wants that love-match she gives her heroines for herself because there is no way that Vander will ever forgive her. Trust me, Vander not only forgives her but works hard to dig himself out of that deep trench he made. He makes her believe that she is worth loving. For herself, in all her inky, novel-writing, curvy glory, not just because Vander can seduce her and scramble her brains and make her beg since he’s a virile duke. Vander comes to realize that not only does he want Mia to remain his wife because he loves her, he would do anything to make her trust him and love him back. And, most important, he has to re-examine the relationship between his mother and Mia’s father and himself…and let it go. At the very end, Vander manages to get himself out of that trench. You’ll need the kleenex. In addition to an A-plus love story, Eloisa scatters returning Desperate Duchess characters into the mix. She introduces Vander’s charming, drunk uncle – Chuffy – who wears eye-catching waistcoats and orders Lucibella Delicosa in special binding and quotes what seems to be the entirety of Shakespeare’s Twelfth Night. There are two sweet canines with names to delight any Harry Potter fan. And then there’s Charlie, Mia’s little brother, who gives Thorn’s ward Rose a run for her money in the “adorable wise moppet” department. Even the villain is graced with a little pointy chin-beard like the grand-standing evil doge in a Gothic novel. There’s a delicious little bit of everything in this novel. I loved it. Four Nights with the Duke is available today at your favorite book dealer. Dear FTC: I received a digital advance of this book from the publisher via Edelweiss…and then I bought a copy, too. Above Us Only Sky spans the 1863 January Uprising against Russian Tsarist rule in Eastern Europe to the fall of the Berlin Wall, and Lithuania gaining its independence in 1991. It is a story of mutual understanding between the old and young; it is a love story; a story of survival, and most importantly a story about where we belong in the world. This “is a raw, beautiful, unforgettable book” (Lydia Netzer, bestselling author of Shine, Shine, Shine). 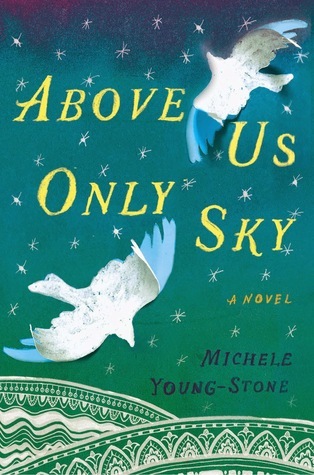 There are times when you read a book and it so completely consumes your emotions….I finished Michele Young-Stone’s Above Us Only Sky at my desk, at work, at lunch, absolutely in tears. The beauty of this novel is not in the sweep of history but in the story of a family who has survived against the backdrop of that history. 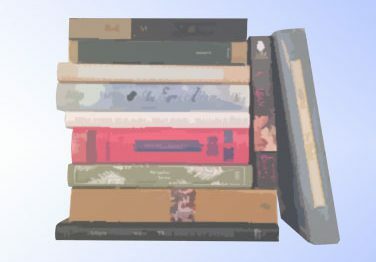 Surviving the Tsarist rule, surviving massacre by the Red Army in World War II, surviving the Nazi invasion, surviving emigration to the US, surviving Communist rule in Lithuania, and, in Prudence’s case, surviving the loss of her wings. For in the Vikas family, the women’s wings grow throughout their lifetimes. Prudence’s relationship with her grandfather – discovered when she is 15 – helps her understand some of the emptiness and contributes to her study of ornithology. She begins to understand her family history and how much has been lost, including, to her grandfather’s belief, his youngest sister, Dania. They make two trips back to Lithuania – once before the fall of the Berlin Wall, where they are shepherded by a Party official, and once after 1991 when they make a remarkable discovery. I can’t even put all this into a proper review. It’s such a beautiful knot of a novel. Above Us Only Sky is a heart-wrenching story of music, loss, grief, separation, hope, and joy. Read it. Read it, read it, read it.